Scotland the land of my birth, the thistle a symbol of sorrow and my heart does ache for that day when I will return to my native land. There will be pictures throughout from my visits to my homeland. This website is a work in progress, I add to it as I discover new resources and insights. Please check back on a regular basis as there probably has been new content added. 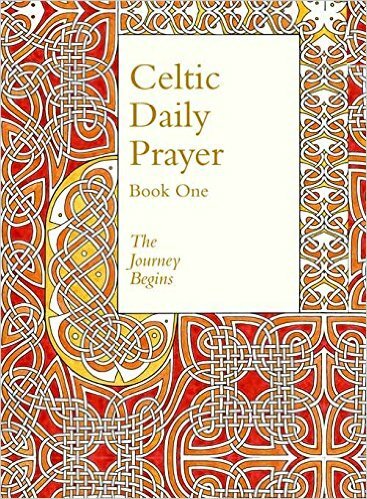 This page is more the Journey of my personal walk, as I encounter more on the subject of Celtic Christians Spirituality. In 2003 I did a video project as part of my Masters In Religious Communication, at United Theological Seminary. The following video is that project. The title of the project was The Celtic Journey, this was a few years ago. Since then I have discovered more on the subject of the Celts. The video was my beginning novice entry into the subject of Celtic Christianity. A friend digitized this for me on August 2015. This is when I placed the media file onto the web and on my old website. I do hope those who view the project enjoy this simplistic overview. I was the Student Associate Minister during seminary and after graduating, I continued with that church. When I was there I did a Celtic Worship Service. I recently looked up my sermon notes, it has caused me to have some further reflection. How long have I had an interest in Celtic Christianity Spirutality? I came to the realization, that I’ve been on this Journey a lot longer that I thought. The following link is a Blog entry I wrote on the stepping stones of my encounter with the subject of Celtic Christian Spirituality. This reflection also merges together an article I wrote when I was at Bible College at Cliff College in England. This was my first entry into this subject. The message was for the Crossway Worship service at Vandalia United Methodist Church in Ohio. I have my first Celtic focused worship service. Following there are further Blogs touching on Celtic Christian Spirituality, or pilgrimage written by me also. These are extracts from my book project that I have been working on for several years, and is still a work in progress. I mentioned in my about me page that I have been to Holy Island or Lindisfarne as it is also known. I have a lot of fond memories of my visits to this island, but I didn’t know about The Community of Aidan and Hilda at that time. My studies and I believe the leading of God brought the community to my attention and I resonate with their community ethos. Following is the unfolding of this journey. 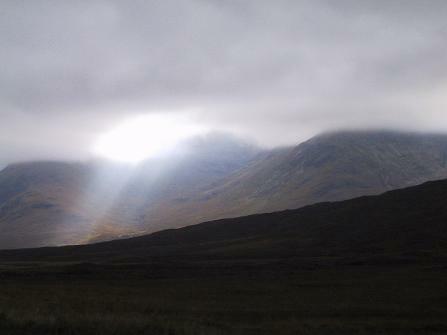 Celtic Christian Spirituality, my reflection and contemplation on the journey. The Rev. Ray Simpson, an Anglican priest, and is the founding Guardian of the International Community of Aidan and Hilda and the principal tutor of its Celtic Christian Studies program. He lives on Lindisfarne—Holy Island—in northern England. Lindisfarne is the cradle island of Christianity for English speaking people and many pilgrims find their visit rich in resources including a possible stay at the community retreat house, the Open Gate. This Celtic community resonated with me more than other Celtic sites, as I regularly visited this location when I lived in Scotland. I then didn’t know of its significance. I was given this book by a friend of the Community, an excellent background of the formation of the Community of Aidan and Hilda. For further books by Ray Simpson and other excellent authors go to the book menu on my website. There are books I have come across and would like to read someday when time permits. I now live in the USA and have discovered there is a US branch of The Community of Aidan and Hilda. Steps that I believe, I need to take to join the Community of Aidan and Hilda given by Paul Martin, via e-mail communication around October – November 2015. He serves as Guardian of the American Community. He welcomed me to the Aidan Way! Take vows in the Community of Aidan and Hilda in the USA. Which I understand is the beginning stages of exploration and commitment toward having a disciplined or rhythmic way of life, implementing a structure that flows with your life, which allows for me to enter into a closer walk with God. To enter into the chosen path that suits my temperament and allows me to be of use for my God. To be of use, by using my God-given gifts and talents. To also be discerning with the aid of my Anam Cara, those areas I need to face up too, and not avoid, fears to confront, values to attain, and mindful of things that may need to be laid aside for a season. These are achieved with the implementation of the Ten Elements of the Way. 1. 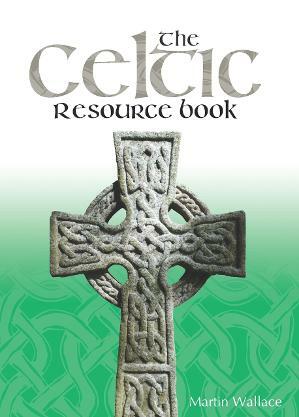 Study and application of the Celtic Christian way. Daily Bible reading and the study of the history of the saints. 2. Spiritual journey-sharing in regular retreats and pilgrimage and meeting with a soul friend who can give guidance on the way. Having a regular set aside quiet day for silence. 3. Daily rhythm of prayer, work and rest. Making space for praying, around your family responsibilities. Welcoming work as a gift from God, and regarding rest as holy and creative. 4. Intercessory prayer. In a group and personally, being and affirming a worldview that recognizes the reality of the supernatural and of spiritual warfare. 5. Having a simplicity of lifestyle. Having a desire to give a percent of income. With the desire for simplicity, give up possessions that clutter up your home and your life. 6. Care for and affirmation of creation-affirming God, creation as essentially good, but spoilt by the effects of human sin and satanic evil. 7. Wholeness, not fragmentation encouraging the ministry of Christian healing and the laying on of hands. 8. Openness to the wind of the Spirit. Allowing God to take us as the Holy Spirit wills. 9. Unity and community. Looking upon fellow Christians not as strangers but pilgrims together. Or the Three Vows of Simplicity, Purity, and Obedience. The only requirement for joining the Community is to have a Soul friend in place. I asked for advice on finding one. I was sent our Inquirer Pack. Informed that my soul friend does not have to be a member of the community, or even know a lot about the Celtic Christian Way, but should be in sympathy with our approach, and be willing to support me as I follow it. Many people have a long-time friend (but not your spouse, if you are married!) who has in effect been their soul friend for years. I have two Anam Cara, who I meet with on a reasonably regular basis. What I believe to be done next compose my personal Way of Life. (Given in Inquirer Pack) That is the main task for you in the Explorer stage, along with building a relationship of trust and accountability with your Anam Cara (soul friend). You asked about subs. The requested amount is $120 for Explorers, but if this is a hardship for you, it is not required. Our expenses are low. All contribute what they can – and for some, in the absence of money, that is your prayers, your enthusiasm, and your gifts. We also have a quarterly newsletter, called the Wild Goose, which is e-mail only. These bullet points are the steps toward become connected with the Aiden and Hilda Community in the USA. They were given to me around a year ago with my enquiring about the process. 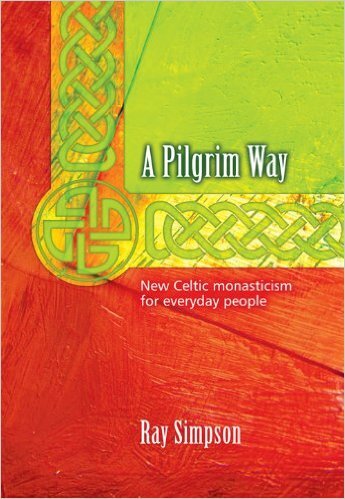 I was also given a wonderful gift of New Celtic Monasticism For Every Day People. Written by Ray Simpson. So I believe my next step is to compose my rule of life or way of life. I have put off taking the next step, distracted by life, highlighting the need for a focus, discipline, taking charge of my life, rather than life dictating my steps, but placing myself or surrendering myself into Gods best for my life. The reason for a Way Of Life is to be walking in God’s way rather than my own, or general pushed along by life’s circumstances. A Rule for life that I have been focusing on for a number of years, but not certain if it falls under the scope of the Community of Aidan and Hilda. Is an acronym of the word L.A.W. = not law as we know it, of a legalistic system of consequences of punishment for our wrong actions by an authoritarian system. To yes, keep peace and order, but having no compassion in most cases having rigid rules that can’t be changed, but set in stone. This alternative L.A.W. for me is of being Loving, Accepting, and Welcoming, toward people and toward God. We also have to be mindful that God is this toward us, of being; Loving, Accepting, and Welcoming, having arms open to embrace us like a parent with a child. I have to be working toward having a daily rhythm of prayer, bible reading, etc. See above: The Ten Elements of the Way. This is one of the books that began the fascination with and desire for a soul friend. 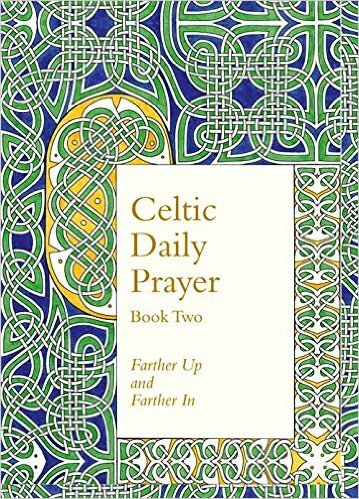 This book was my first book on the subject of Celtic Spirituality. This is a book I also enjoyed. These quotes grabbed my attention. “The great Irish teacher John Scotus Eriugena taught that God speaks to us through two books. One is the little book, he says, the book of scripture, physically little. The other is the big book, the book of creation, vast as the Universe.” From a book, I’m reading at present Christ of the Celts By J. Philip Newell, p 50. In Celtic Spirituality there is a “practice of listening for the living Word of God in nature as well as in scripture. This was the conviction of the ninth century philosopher John Scotus Eriugena, perhaps the greatest teacher the Celtic brand of the church ever produced. His name, a complicated one to the modern ear, simply means ‘John the Irishman from Ireland’ . Eriugena taught that Christ moves among us in two shoes, as it were, one shoe being that of creation, the other that of scripture, and stressed the need to be as alert and attentive to Christ moving among us in creation as we are to the voice of Christ in scripture.” Listening for the Heartbeat of God A Celtic Spirituality By Philip Newell, p34. “To know the creator, we need only look at the things he has created. The way to learn about God, Eriugena believed, is through the letters of Scripture and through the species of creation. He urges us to listen to these expressions of God and to conceive of their meaning in our soul.” Listening for the Heartbeat of God A Celtic Spirituality By Philip Newell, p35. How is you heart toward God. Father, Son, and Holy Spirit? A friend Shaun Skinner took this photo for me, he lives in Cornwall. A friend Bethany Petrovic de Maio composed this song, I love this song.